Supermarket Wall gondola units are available as standard modular units and can be customized according to the merchandiser’s choice. Supermarket wall gondolas in Kovai Racks are available in heights of 3′, 4′, 5′, 6′, 7′ & 8′ and lengths of 2’ (minimum), 2.5’, 3’, 3.5’ & 4’ respectively. The depths are also available in 300mm, 375mm, 450mm, 525mm & 600mm for the modular units. 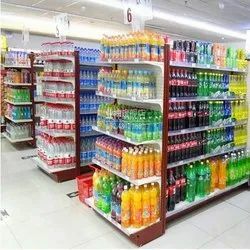 There is a large variety of accessories and shelves to choose from as well that can add the additional spice that will separate a store from its competitors. Some add-ons from Kovai Racks include mesh stoppers, acrylic stoppers and aluminum stoppers. 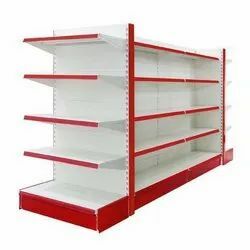 Wall gondola units can be popularly seen in a lot of retail environments like convenient stores, auto part dealer showrooms, sporting goods shops, pet stores, pharmacies apart from the all popular supermarkets.